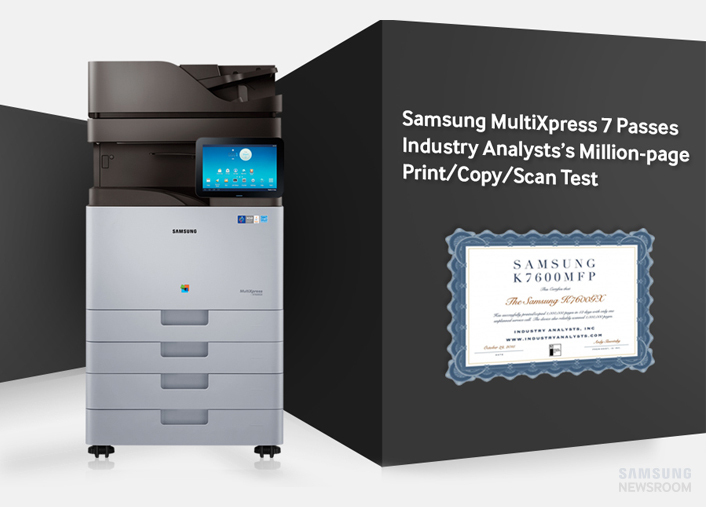 Samsung Electronics America announced that its MultiXpress 7 Series (MX7) multifunction printer has been recognized by Industry Analysts, Inc., a leading print industry analyst firm, for its ability to achieve one million printed copies and one million scans in under a three-month period. This is the first time that Samsung has been recognized by Industry Analysts for its reliability, which has been shown to be especially important in today’s business environment. The MX7 offers heavy duty, reliable performance for enterprises and workgroup users with heavy printing needs. The test was designed to evaluate reliability, productivity, scanning and printing technology, Android UI and ease of use of the MX7 Series. Industry Analysts ran the test on five of Samsung’s multifunction printers, ideal for small- to medium-sized businesses and enterprises. These included the MultiXpress K7600GX, the MultiXpress X7600GX, the MultiXpress M5370LX, the MultiXpress X4300LX and the ProXpress M4580FX. Recognition was made for milestones; 250k, 500k and 750k respectively. Industry Analysts reported on the following: copy/print first page out time (stapled/non-stapled), PPM Scan speed (simplex, duplex) and time to complete print jobs (DOC, PPT, PDF and large PDF). 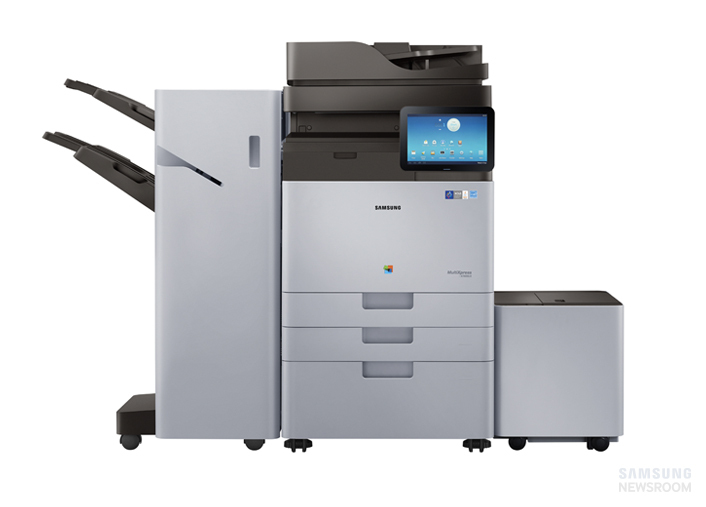 The MX7 is the newest addition to Samsung’s innovative print portfolio that addresses the evolution to a mobile-focused workforce. Features including print speeds up to 60 pages a minute, Samsung’s Smart user interface, 240 imp dual-scan speeds with anti-jamming technology and mobile connectivity capabilities make the MX7 Series essential for today’s office environment and for the office of the future. The MX7 Series is available to Samsung dealers and their customers. For more information about the Industry Analyst test,* please visit industryanalysts.com/category/samsung-test/. For more information on Samsung printing solutions for business, please visit www.samsung.com/us/business/printers/all-printers/ or www.samsung.com/us/business. Follow us on Twitter @SamsungBizUSA. * Paper testing is part of the quality assurance process for printer manufacturers. Tens of thousands of pages from the test were donated to a local school and the rest were recycled.